Growing up in a family of nine, Tieghan Gerard learned early on that if dinner was to be served at a reasonable hour, she needed to pitch in. This early experience in food prep and cooking led her to her current passion as author of the wildly popular food blog Half Baked Harvest. 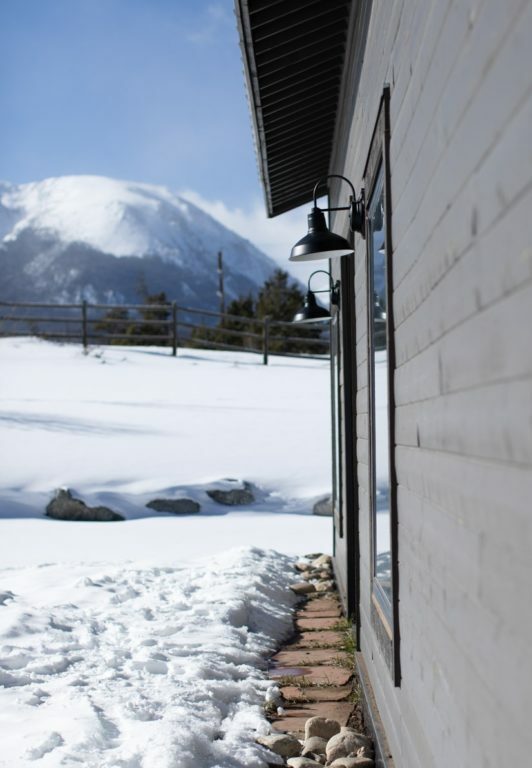 Against the picturesque backdrop of the Colorado Rockies, Tieghan, with help from mom Jen, keeps a hectic schedule not only creating daily content for the blog but writing cookbooks and opening their studio for workshops. 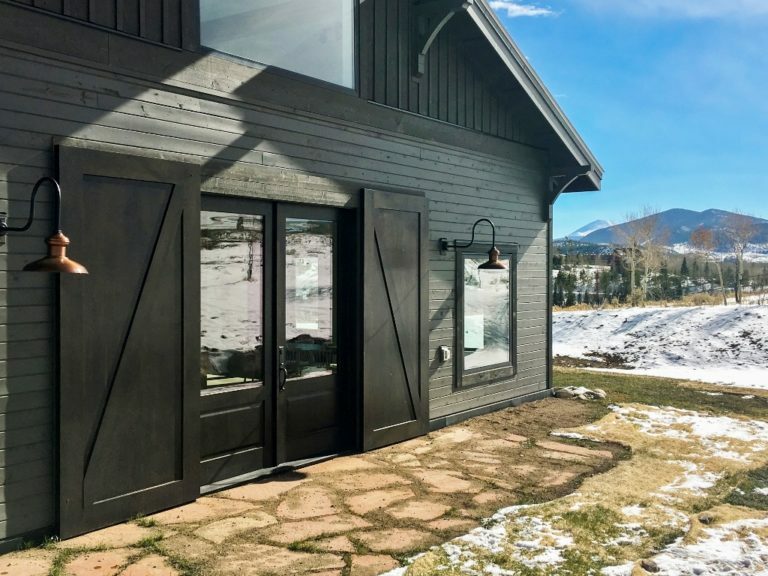 Tieghan started the blog in 2012 and as its popularity grew, the space in the 1500-square-foot log barn where she worked seemed to shrink. “When we first started, we moved the horses out to renovate it. There’s even bite marks in the log walls,” Jen says. “But we needed more space.” The Gerards hired Park and Oak to design a new barn that would house the growing business. 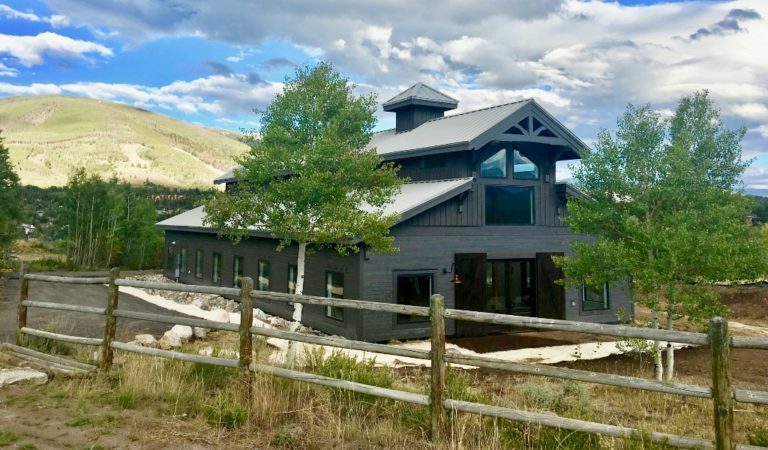 The new Studio Barn, pictured above, quadrupled their work space when completed in 2018. It is used exclusively for Half Baked Harvest activities. 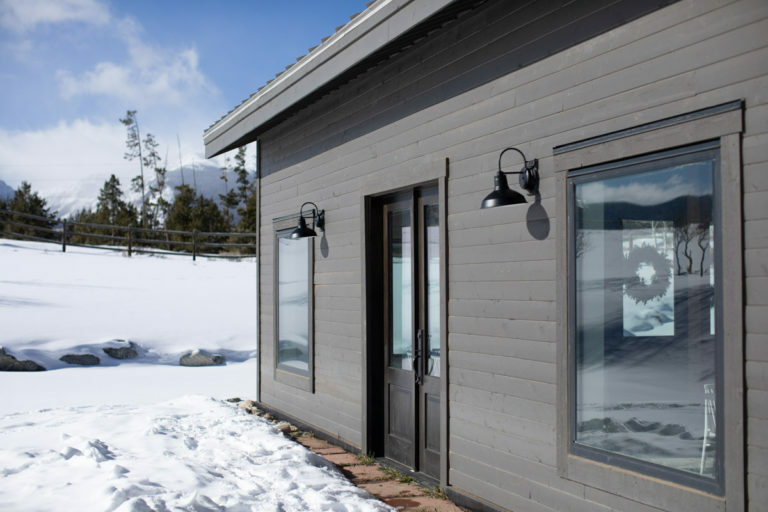 The design for the Studio Barn reflects the surrounding high-alpine environment and the rustic feel of the Half Baked Harvest brand. 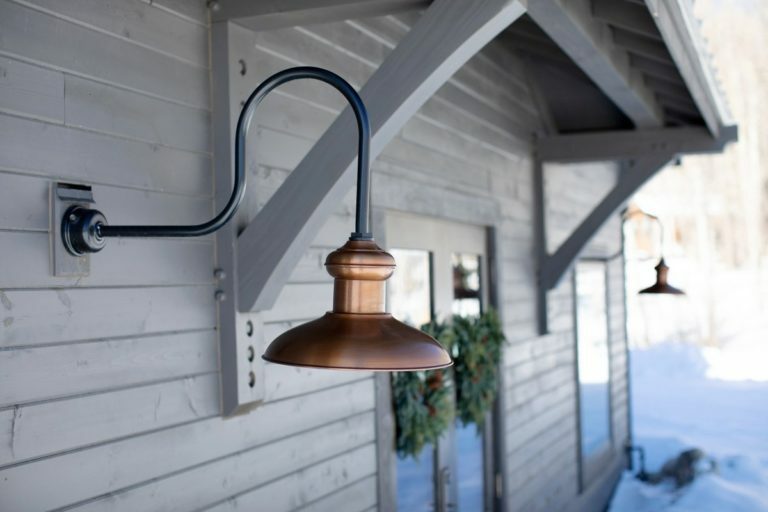 The design team at Park and Oak recommended barn lighting as they had sourced American-made fixtures from Barn Light Electric for years. The design team picked the Chestnut Gooseneck Light to frame the massive, 8-foot by 9-foot barn doors. 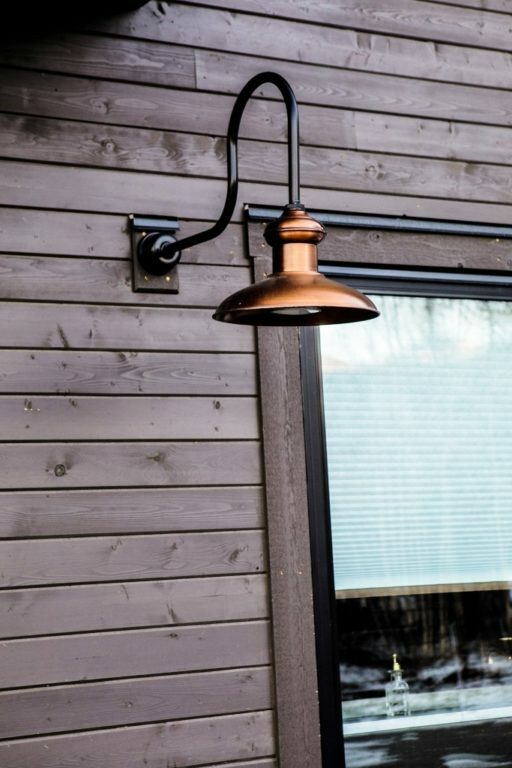 These handspun copper lights are customized with 16″ shades, a Weathered Copper finish, and G6 gooseneck arms in a contrasting Black finish. For the patio entry, the design team selected the Drake Wall Sconce. 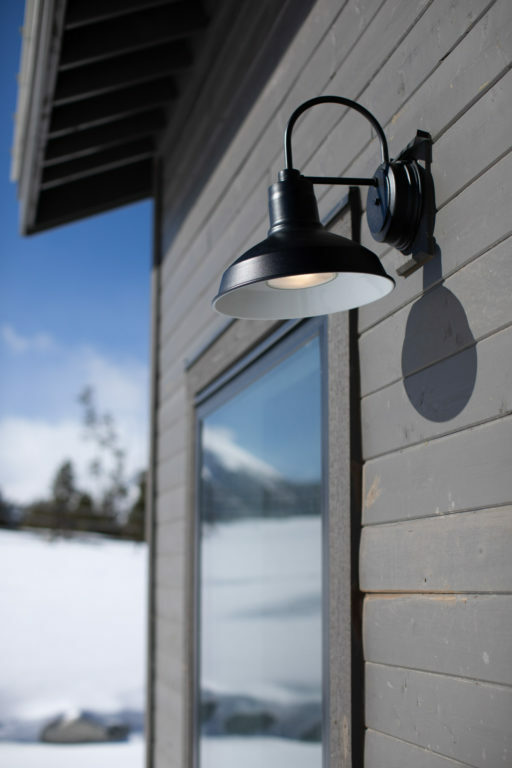 This mid-sized sconce is handcrafted from commercial grade materials and features a 12″ shade and Textured Black finish which pops beautifully against the dark gray siding. “We wanted something a little different than the Chestnut yet still in keeping with their style,” Jen notes. 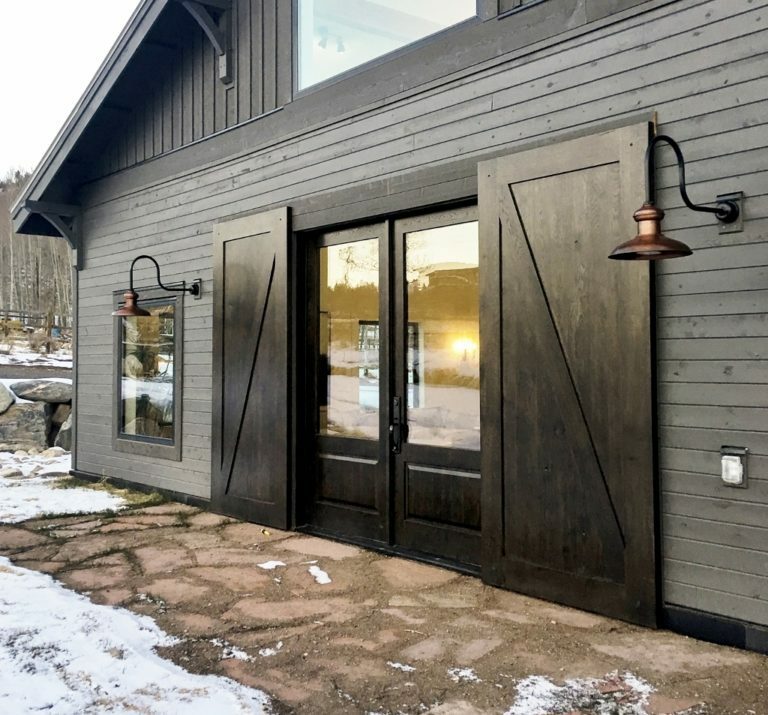 The French doors here are slightly smaller than the main entry doors so the design team chose the smaller 12″ shade for these fixtures.